is wholly focused on communications, advertising, marketing, and branding. Altering perceptions is our primary love. Building sustainable, profitable brands is about establishing an emotional bond between consumers and the company that serves them. We make our clients’ products and services more valuable by creating this bond and building our clients’ brand value. We have a different philosophy about how great brands are created and communicated. We call it Building Brand Value®. We are so committed to it, in fact, that we’ve even written a book about it. It’s called, believe it or not, Building Brand Value. In it, we explain the seven points that create a brand. 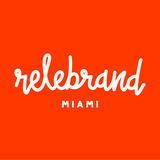 OUR history TURKEL Brands is a full-service, multicultural brand management firm located in Miami, Florida. We opened our doors for business in June of 1983, and have been in business for more than 30 years. We offer creative, account management, brand strategy, research, production, digital, media planning and placement (both offline and online), public relations and below-the-line marketing services. The agency is wholly owned by two partners, Bruce Turkel, CEO/Executive Creative Director and Roberto S. Schaps, President. WE are known for... Quite simply, we are known for three things: unbridled creativity, measurable results and our unique Building Brand Value® protocol. 1. ALL ABOUT THEM. 2. HEARTS THEN MINDS. 3. MAKE IT SIMPLE. 4. MAKE IT QUICK. 5. MAKE IT YOURS. 6. ALL FIVE SENSES. 7. REPEAT, REPEAT, REPEAT. Similar to the classically trained ballerina who lives by the motto “Technique Sets You Free,” our seven points provide structure for our work. With them we can create more effective communications and deliver better results for you. Our seven points also sometimes challenge us to step outside of our safety zones but ultimately deliver the results you’re hiring us for. WHAT ARE WE GOOD AT? The Brand Value Agency Leader model. At TURKEL Brands, serving as the lead agency and brand steward, we oversee our clients’ brands from a 360-degree perspective. We coordinate all marketing disciplines, including advertising, digital, media planning and buying, public relations, etc. to provide integrated seamless solutions. Our Brand Value Agency Leader model is somewhat unique in the world of independentlyowned agencies, but it comes naturally to us. TURKEL Brands has always scored high in the “plays well with others” category. We have a proven track record of managing and coordinating agencies around the world, whether these are brought along by us or invited by our client. TURKEL Brands is one of the very few remaining independently-owned agencies. This independence has allowed us the freedom to collaborate with best-of-breed agencies that specialize in areas that align with our clients’ marketing strategies. We work with each of our partners to provide a seamlessly integrated work plan for all of our clients. Think of TURKEL Brands as a general contractor that builds brand value. Our model addresses the expense, inefficiency and complexity you face when you have to interact with every service provider on their terms and then try to bring them all together. Plus, you’ll find confidence knowing we’re in charge of ensuring each marketing discipline helps you achieve your ultimate goals. Let’s talk strategy. At TURKEL Brands, strategy isn’t just something we talk about in new business presentations and forget about after we win your account. Instead, it’s the foundation of everything we do. Take a trip up to our Creative Director’s office and read the photocopied ad taped to his wall. It’s a picture of a group of Roman galley slaves rowing under the headline, “Doing ads without a strategic focus is like captaining a ship without a map. Sooner or later, the people rowing are gonna get pissed.” Without a sound strategy not only can we lose our way, but no one enjoys the trip. Although there are people in our office with the word “strategy” in their titles, it is truly the responsibility of each and every one of us to make sure that we fully understand our clients’ products and their audiences. As Sun Tzu wrote 2,300 years ago in The Art of War: “Tactics without strategy is the sound of failure. Strategy without tactics is the slowest path to success.” What does all this mean in real life? If we’re asked to work on a project without a strategy, we’ll help create the strategy first. If we’re asked to work with a strategy that doesn’t make sense, we’ll try to find the meaning. And if we see a solution that is off-strategy, we’ll speak up. After all, we stand for sound strategies. And if we don’t stand for something, we’ll fall for anything. What is creativity, anyway? Ask the most creative person you know to describe creativity and they’ll just stare at you. “Creativity? It’s, like, you know…” Not such a creative answer, is it? Ask a person who tells you that they don’t have a creative bone in their body to prove it and they’ll tell you that they “can’t even draw a straight line.” Funny enough, it doesn’t take any creativity to draw a straight line. All it takes is a ruler, a pen and a steady hand. To many people, creativity is a lot like good taste: “I don’t know what it is but I’ll know it when I see it.” When Picasso combined a bicycle seat with a set of handlebars and created a bull’s head, that was creative. Creativity is our stock in trade. It’s what our clients come to us for. It’s the lifeblood of our business. What it’s not is the sole province of our creative department. And even though our art directors and copywriters are lucky enough to have the word creative in their titles, creativity is the responsibility of each of us. If that sounds like what we said about strategy just a page or two ago, maybe there’s a pattern forming here. Now that’s creative, isn’t it? The Creative Development Flow. Our Building Brand Value protocol provides a roadmap for our Creative Team to be certain their ideas deliver the greatest results for our clients. The health care industry is complex and confusing to potential customers. It gets even more bewildering when they’re also concerned about their own health or the health of a loved one. Our Building Brand Value protocol gives us a unique perspective on what makes your brand communications effective. Let us help you bring clarity to this life-and-death issue, and instill confidence in your customers. Most people will listen to you when what you say entertains and enlightens them. And when your message is crafted for a well-defined audience, you’ll persuade them. The easiest way to communicate is to mimic your competitors. However, you run the risk of people thinking you’re the same as your competitors, or that you ARE your competitors. Make It Yours with a message that looks, sounds and feels like you alone. 2. Hearts Then Minds. People accept an argument and plan a vacation for the same reason. They make a decision based on emotions and justify their decision with facts. Touch Hearts, Then Minds will be open to your message. It’s not enough to just blurt out information. The most effective communication inspires all the senses. How will people feel when they’re experiencing your brand? What will they see and hear? Is there a scent or a taste? All Five Senses make an impact. Thoreau may have written “Simplify, simplify” but we’d advise you to “Simplify.” Make It Simple. Less is more. 4. Make It Quick. The world’s getting faster. When it comes to health care, people pay attention. But that attention span is not unlimited. Make It Quick. Say it and then say it again. Because nobody has enough time in the day to give you full attention. Repeat, Repeat, Repeat your authentic Brand Values often, and in new and inspiring ways to make sure it sinks in. Production Production is where our team members are that oxymoronic combination of artist and engineer. In agencies, nothing happens until somebody produces something. Ideas, after all, are worthless and priceless at the same time. If a great idea never sees the light of day, what value does it actually have? On the other hand, if that same idea is carefully developed, meticulously crafted, and powerfully distributed, it could change the world. Or at least help you keep the cash register ringing. The production studio is truly the engine of the advertising business. Digital The modern advertising industry has been around since the 1880s. And aside from a few technological advances (since radio and television, for example), advertising hasn’t changed much. Until the advent of digital technology and the website. We created our first Web site in 1994. Today, we combine research and measurement tools, with social and PR strategists, digital creative development and media teams to provide a full suite of digital and social media services. But in a business that used to ask “What have you done for me lately?” the new battle cry is “What have you done for me next? !” Truth is we don’t always know exactly where we’re going. No one does. But we do know we can’t stop moving forward. And we are ready to capitalize on interactive technologies and opportunities as they present themselves. We bring value to the relationship by taking a holistic approach to learning and understanding your business. By immersing ourselves in all aspects of your brand, we bring you intelligent business solutions – not just advertising solutions – that add value and increase ROI. In many ways we’re an extension of your marketing department and as such it makes more sense that we call ourselves marketing directors rather than account managers. This innovative perspective on account management allows for a more synergistic relationship where we work in parallel with your marketing team. As we are your lead agency and brand steward, we treat you as a partner. A marketing director with a diverse set of skills will partner with you to oversee your brand from a 360-degree perspective. He or she will bring in teams of thought leaders from other departments and disciplines to meet your goals. Throughout the process, a marketing coordinator will ensure jobs are delivered on time and on budget. Media Media used to be a left-brained discipline responsible for planning, negotiating, placing and following up on agency purchases of television, radio, billboards, magazines and newspapers. Now, all of a sudden, media is creative too. The Internet and the world at large offer a nearly infinite variety of ways to communicate. Not only is media responsible for placing these ads, they’re also charged with the task of figuring out where to put them, working right alongside art directors and copywriters to create new ways to reach our clients’ customers. Marketing When we present our company to a potential new client, we pull out all the stops. Yet when we’re all done, the first question they invariably ask is “Who’s going to service my account?” It’s a simple truth of business — people hire people they want to work with, and great chemistry is a harbinger of even better things to come. But after the honeymoon phase is over we still need to maintain strong relationships. Operations You’ve heard the old saying that money makes the world go ‘round. In our case, compelling the world to go ‘round makes money. Thanks to our operations department we not only make money, but we can track it and keep some of it, too. The operations department is where we prove that the inmates are not in charge of the asylum. We’ve staffed this department with some of the most capable accounting minds around. How else could we track all our expenses? And speaking of tracking, how else could we track all of our creative resources? Most important, how else could we run our business like a business and make a living being creative? Thanks to operations, our vendors feel as well served as our clients and our banker is happy to do business with us. Best of all, the rest of us are free to concentrate on our clients, rather than worry about the facts and figures of running our business. BT Bruce Turkel CEO/Executive Creative Director What drew Bruce Turkel, one of advertising’s most original and multi-faceted minds, to the industry in the first place? Simple: “I don’t play harmonica all that well.” Born and raised on Miami Beach (which was like being in Flipper), Bruce studied design at the University of Florida (which was like being in Animal House) and began his advertising career in New York (which was like being in Brazil, the movie, not the country). But preferring a tan to an ulcer, he returned to South Florida, where he served time at several agencies before starting the award-winning design and advertising firm TURKEL Brands. Built on the belief that advertising should be well-designed, simple to comprehend and fun, the company continues to break new ground with innovative work honored by Communication Arts, the Art Directors’ Club of New York, Clio and the One Show as well as other accolades too numerous to list here. Under Bruce’s guidance, TURKEL Brands has created wildly effective campaigns for its clients, including the Greater Miami Convention & Visitor Bureau, Discovery Channel, the Government of Puerto Rico, HBO Latin America, Peabody Hotels, Kissimmee Convention & Visitors Bureau, Canyon Ranch Living and Sol Meliá Hotels & Resorts. When he’s not creating advertising or design, he’s sharing his wisdom in places like CNN, MIT, NAMM, MPI, UM, NSA and the three books he’s authored. Yet somehow Bruce always finds time for more – besides writing and illustrating books and articles on branding, practicing his harmonica in traffic, being a dad, a husband and a mentor, Bruce is a professional speaker and branding expert. He tours extensively spellbinding audiences with his simple, yet powerful brand building techniques. RS Roberto S. Schaps President On the face of it, advertising and coffee beans would seem to have little in common. But the similarities are there nonetheless. After all, both can be quite stimulating. And both have certainly kept the people at TURKEL Brands up for many a night. One more thing they share: Roberto S. Schaps. Born in El Salvador, Roberto grew up in Guatemala before attending Texas A&M University, where he received a BS in Civil Engineering. After going on to earn an MBA at the University of Miami, Roberto managed the Miami-based roasting, distribution and processing plant for his family’s Guatemalan adver… uh, coffee plantation. By overseeing the operational and administrative ends of a business where deadlines must be met without compromising quality (gee, just like advertising), Roberto refined his formidable management skills. And picked up such unbelievably pithy Latin sayings as “I’m going slow because I’m in a hurry.” Which brings us – and Roberto – to TURKEL Brands. Attracted by the creativity, energy and just plain craziness inherent in advertising, he became a partner with Bruce Turkel in 1989. Once he took the plunge, he hasn’t come up for air. His willingness to work long hours is the stuff of agency legend, as is his way with computers. (He’s kind of like Bill Gates, only not as nerdy. Or as rich…yet.) Coworkers describe Roberto as a perfect blend of warmth and smoothness. Kind of like his family’s coffee. OUR STRATEGIC PLANNING PROCESS We are in the business of creating desire. For more than 30 years we have been creating startlingly original and effective marketing solutions for our clients, including quite a few in the tourism and hospitality industries. Following is a brief synopsis of the process we would use to build and manage your brand image. All About Them – Most brand building processes start in the wrong place. They typically start with the category, the brand itself, or with a marketing toolkit. For us, success has proven to increase when firmly grounded in a strong understanding of the motivations and tensions driving people’s behavior. This is critical if we hope to connect with people in a meaningful way. This is where we begin reducing Phase I’s foundation down to its core, motivating elements. Chiseling until we’ve identified the very soul of a brand by filtering against four criteria: Hearts Then Minds – People make decisions based on emotion and justify their decisions with facts. To get someone to pay attention, you must get them emotionally involved. Make It Simple – To make an impression and an impact, your message must be succinct and easily digestible. Make It Quick – It must also be said quickly. If you take your time, no one will wait around for you to explain. Make It Yours – It must be honest, ownable and intuitively ring true in the hearts and minds of people. And, good data is the best way to cultivate an enlightened understanding. Phase III: Creating the Human Connection This is where your brand purpose comes to life inmarket, tapping into: All Five Senses – Memorable conversations involve all human senses. To communicate effectively you must engage as many of your audiences’ senses as possible. Repeat, Repeat, Repeat – Your message must be repeated often enough that your audience will remember and internalize the content. The Situation Symphony Health Partners is a Management Service Organization (MSO) that works with health providers and their insurance plan partners to better coordinate and deliver care to health plan beneficiaries. The company operates its medical practices as Patient-Centered Medical Homes (PCMH) – a new model of care that enhances the relationship between the patient and their primary care physician, specialists, and other health professionals. Think of it as “how health care used to be,” but with a healthy blend of innovative new technology. Our Solution We realized that the name alone does not indicate the partnership that the model provides. Our solution was Symphony Health Partners, an evocative name that communicates the partnership that we engage in with our patients. We developed a comprehensive brand identity and supporting advertising campaign, built around the idea of health care like it used to be, only better. Our “Norman Rockwell” style ads really resonated with seniors who came of age when doctors made house calls. Our name and our logotype stand for MetCare’s core values: who we are, what we do, and why our brand is unique in our growing industry. We are conductors directing the various parts of our medical orchestra. Medicare Advantage open enrollment is happening now. Call 866-312-8088 today for more information. You’ll feel great about it. The Results Within the first month, the client began to see brand association for MetCare and the modern Norman Rockwell-themed advertising as customers talked about the ads during their doctor visits. Most of MetCare’s patients quickly see how the PCMH model offers a much-needed rational alternative to the fragmented – and often frustrating – primary care they used to receive. They’re more satisfied, and best of all, they tend to stay healthier and better informed. The campaign resulted in nearly 100 new customer leads and enabled MetCare to begin building a stronger customer database for their Open Enrollment period. Medicare Advantage open enrollment is happening now. Call 866-312-5316 today for more information. You’ll feel great about it. Heart surgery didn’t stop me. I EMBRACE LIVING. My daughter’s wedding was in two weeks. At her bridal shower I felt intense chest pains. The doctors at Baptist Cardiac & Vascular Institute told me I needed open heart surgery to bypass a clogged artery. I was terrified I would miss the wedding. But four days after my heart surgery, I danced at my daughter’s wedding. The Situation When it comes to hear health issues, Baptist Cardiac & Vascular Institute offers best in class programs, facilities and hospitality. The brand embodies a pioneering spirit thanks to best in breed doctors and the latest in technology/ procedural advancements. The challenge was keeping Baptist top of mind when people are healthy and not in need of their services so they will choose Baptist when they do seek care. Our Solution We created a campaign built around the rallying cry, “Let’s Embrace Living.” Ads featured real patients sharing their “Embrace Living” anecdotes about the importance of living healthy as we age. Each ad reminds readers that BCVI is committed to keeping them healthy so they can enjoy their favorite hobbies and activities. The idea was to get people to know and love Baptist before they actually needed their services. The Results Through our re-branding campaign, we were able to reposition BCVI’s offerings toward living a heart healthy lifestyle, rather than a focus on illness. Our research showed that BCVI patients had an increased awareness of BCVI as a true partner in maintaining a healthy lifestyle, not just a medical provider. Things were rough for a while. But now, I make every day special. The heart attack was a set back, but I’m back in the game. I EMBRACE LIVING. I played baseball in college, and have stayed in shape over the years. So a heart attack took my whole family by surprise. The paramedics rushed me to Baptist Hospital’s Heart Attack Unit. I felt confident and cared for; their team helped me get back on my feet. With two young sons, there’s always a chance to play. I received a diagnosis no one wants to hear. My aortic aneurysm was life threatening. Worse yet, a history of four heart attacks made surgery inadvisable. Thankfully, Baptist Cardiac & Vascular Institute had a solution. Their exceptional care saved my life. And now I cherish every joy that comes my way. We’re committed to keeping you healthy for life’s adventures. Let’s begin the partnership today. Call 786.596.2700 or visit BaptistHeart.net for a free physician referral. Everything we do keeps your health and your life in harmony. Let’s begin the partnership today. Call 786.596.2700 or visit BaptistHeart.net for a free physician referral. The Situation As Miami-Dade County’s hospital, Jackson Memorial Hospital and its affiliated branches provide care for most of the area’s indigent population. Consequently, a lot of the area’s funded patients, not wanting to associate with those less fortunate than themselves, seek health care elsewhere – in spite of, and in ignorance of Jackson’s worldwide reputation for leading in countless different medical fields. Our task was to right that ship, to counter public negative perception, to enlighten funded county residents so they will consider and/or choose Jackson. Our Solution Built around the phrase “On1y Jackson”, each spot in the TV campaign features three amazing Jackson facts. Facts like: “On1y Jackson has seven specialties honored by U.S. News & World Report”, or “On1y Jackson has over 150 physicians on the Best Doctors in America® list”, or “On1y Jackson has Florida’s largest Neonatal ICU.” Built modularly, each fact gets eight seconds to evolve, to go from blue to white, or white to blue, to bring the fact to life, before transitioning to the next fact – followed by a six second super/call to action ending. The Results Now, Miami-Dade, and even Broward residents are aware of Jackson’s many accomplishments. Opinions are shifting. People are taking note and thinking – shame on me, I’ve been short-changing Jackson, should I ever require hospitalization, treatment or diagnosis – I will definitely consider Jackson. Jackson is getting more respect. Not only for caring for the less fortunate, but for delivering internationallyrenowned care on so many different fronts. The Situation As Medicare changes, few corporations are poised to take advantage. MetCare Health Plans is though – with a company called AdvantageCare. Setting up shop in six counties, three on Florida’s Treasure Coast, and three on Florida’s Gulf Coast – it offers Parts A (hospital), B (medical) and D (prescriptions) all in one plan. Our Solution Other HMOs’ physicians are rewarded for minimizing costs. But AdvantageCare’s physicians are rewarded for keeping their members in the best of health. Most every element of AdvantageCare’s communication demonstrates this with an active, health-inducing voice. To get the blood pumping, newspaper ads invite readers to close and re-open the newspaper 30 times (3 sets of 10 reps.) An ad touting network size suggests one abdominal crunch for each physician listed. Seminar announcement ads suggest parking a good distance away – so people will walk a while. It’s an interactive experiential demonstration of what membership will be like – making the enrollment decision easy. The Results Phones are ring-ring-ringing. Information seminars are packed. Seniors are getting the care, and the attention they’ve long deserved. Perhaps most gratifying though are the serious feathers we’ve ruffled. Other HMOs have been complaining to the federal governing bodies that we revealed their cost-based incentive business model – even though we pointed no fingers directly. The Situation VITAS Innovative Hospice Care® is recognized as the country’s largest and the industry’s leading provider of end-of-life care for terminally-ill patients of all ages and their families. They needed to refresh their brand identity in order to differentiate VITAS from competitors in a meaningful and compelling way. Our Solution We created complete brand architecture and graphic guidelines manual. We updated the VITAS visual image, addressing key messages and nomenclature/taglines as well as designing production elements (layout, fonts, photography, color palette, paper, etc.) for all communication media aimed at VITAS’ target audiences. Our comprehensive graphic standards manual launched the rejuvenation of and recommitment to the VITAS name and VITAS brand of Innovative Hospice Care®. It marked an evolution in the most respected name in hospice care in the United States. It heralded the next stage in VITAS’ growth and development as the nation’s leading provider of quality, compassionate end-of-life care. VITAS provides a special form of care for people during their last months of life. When medical treatments cannot cure a disease, VITAS can provide support to make life as comfortable, enjoyable and meaningful as possible. We call this type of care Intensive Palliative Care®. VITAS has been providing this care to patients since 1978. Our name comes from the Latin word for lives. Our goal is to do everything we can to improve the quality of life for our patients and their loved ones. • We offer people choices. • We work to ease the anxiety and fears, the discomfort and high expense that can accompany incurable illness. • We help preserve dignity. Ready to help: VITAS is available 24 hours a day, 7 days a week The VITAS team is sensitive and responsive to individual patient and family needs. • VITAS nurses are skilled in assessing and managing pain; they are trained caregivers who provide hands-on care. • VITAS social workers are available as friendly and skilled listeners to help provide emotional support and to help with financial issues and planning. • VITAS physicians work with your physician and are available for pain and symptom management consultation as well as to make house calls, as needed. • VITAS home health aides are available to help with personal care, such as bathing or dental care, and also can help with light housekeeping, light laundry and occasional shopping. • VITAS chaplains work with the family’s clergy, offering spiritual support. Who pays for VITAS Services? • Volunteers, specially trained by VITAS, are an important part of the hospice team, available to spend time when they are needed most. • VITAS bereavement specialists provide grief and loss counseling, memorial services and other support for family and loved ones. Since 1978 when it was founded by a minister and a nurse, VITAS has been a leader in the American hospice movement, helping to define the standards of care for hospice and working to ensure that terminally ill patients and their families have ready access to compassionate and effective end-of-life care. VITAS accepts Medicare, Medicaid/Medi-Cal, private insurance and other forms of reimbursement for its services. • Medicare/Medicaid: Medicare and most state Medicaid programs offer coverage of VITAS services. Since VITAS accepts Medicare and Medicaid as 100% coverage for its hospice services, there are no out-ofpocket expenses to patients or their loved ones for VITAS care. company has its own policies, VITAS can contact the patient’s insurer to ask about the coverage provided for hospice care. VITAS admits and cares for all hospice-appropriate patients referred to us, regardless of their ability to pay. Since hospices do not compete on cost, success can be measured in large part by an organization’s reputation throughout the communities it serves for providing great care. VITAS cares for more patients each day than any other hospice in the nation. That record of success speaks for itself. The Situation Fear of pain is the top reason people don’t visit their dentists more often. Our client had developed an incredibly effective method of pain management which can reduce pain and pain-related anxiety – but we couldn’t say that. In fact, according to FDA regulations, there was very little that we could say. Our Solution We asked the dental community a question: “What’s the big deal about a little patch that can numb to the bone?” The answer is obvious to anyone who has ever dealt with a terror-gripped patient, but we went on to support the implied claim with every fact and bit of clinical evidence at our command. All without mentioning “comfort,” “fear,” or “increased patient satisfaction” once in our ads, brochure or Frequently Asked Questions booklet. Because the product was entirely new, we provided step-by-step application procedures as well as ways in which the DentiPatch could be used by dentists, periodontists, and hygienists. The Results Despite being hamstrung by FDA rules and regulations, we wound up with a breakthrough launch for a unique dental anesthesia product. Better yet, Noven rang up a very painless 30% redemption rate. The Situation We needed to position JMH Health Plan as an important contender against much larger HMOs which have lots more money to spend. Our Solution JMH Health Plan was always too small to compete with the big boys and so they significantly expanded their provider network. To make the world aware of the new JMH, we negotiated an affordable premium position on the second page of Section A in English and Spanish language newspapers. At the same time, we placed 10 second radio traffic reports to remind our target audience of JMH Health Plan during their open enrollment periods. Each spot pointed out a key JMH difference, such as world-class facilities, access to University of Miami physicians and a network for both Miami-Dade and Broward counties. While the exact number of enrollees gained is proprietary information, JMH exceeded their membership census during the very first year of our program. Now that’s a growth they don’t want to remove! HM O m a rmarketplace. ketplace. HMO Introduce a latecomer into the already-crowded Florida HMO marketplace. The overall of thewascampaign, which was supported memorable TV andgoal radio spots, to jumpstart the sales process The overall goal of the campaign, which was supported by highly– producing a peak number of inquiries in a short period of time. by highly memorable TV and radio spots, was to memorable TV and radio spots, was to jumpstart the sales process jumpstart thenumber salesofprocess producing a peak – producing a peak inquiries in–a short period of time. It did. of inquiries in a short period of time. The Situation Neurosurgeons tend to refer patients with brain tumors and vascular lesions to traditional forms of treatment even though the gamma knife offers significant advantages. As a result, the Gamma Knife Institute found itself with under-utilized equipment. And quiet phones. Our Solution If we canâ&#x20AC;&#x2122;t rely on the physicians to recommend our treatment, why not go right to the patients? Our radio campaign, aimed at the patient, emphasized the benefits of treatment: an outpatient environment, few side effects and, most important, a non-invasive procedure. The Results The response was overwhelming: a four-week test flight on only two stations generated record call volume and six new cases. The Gamma Knife Institute exceeded their projections. TURKEL Brands rang up another success story. And six people and their families got a new lease on life. Not bad for a dayâ&#x20AC;&#x2122;s work! 1. AUDIO: Provocative music throughout. 1. AUDIO: Provocative music throughout. 2. Jackson Memorial Hospital Breast Health Center 1. AUDIO: Provocative music throughout. 1. Audio: Provocative music throughout. 3. 1. AUDIO: Provocative music throughout. 2. 4. V/O: A self breast exam is almost as 3. 4.2.V/O: breast exam is almost as easy A asself getting undressed. easy as getting undressed. For a Free Guide Please Call 585-7637 3. 1. AUDIO: Provocative music throughout. 2. 2. 5. 3. V/O: For a free guide, please call. 4. V/O: A self breast exam is almost as 5.2. easy as For getting undressed. 5.4. V/O: a free call. as rguide, ain exam Dplease artis®almost 6. V/O: A selfBbreast easy as getting undressed. R Rather than resort to the usual hard sell/s p Breast pub lic seHealth rvice tCenter elevision commercials rely s Jackson Memorial Hospital spokBreast e voluHealth mes iCenter n a more subtle way. It did Jackson Memorial Hospital s 585-7637 service message—and that’s what madeTith 585-7637 nTvu viewers into the spot was that you didn’t kn nu until its surprising ending. Somber backgro th 6.4. V/O: A self breast exam is almost as 6. this spot to reinforce the seriousness of the easy as getting undressed. 6. The Situation Create awareness among women of the importance of breast self-examination. Our Solution Rather than resort to the usual hard sell/scare tactics that most public service television commercials rely on, we did a spot that spoke volumes in a more subtle way. It didn’t look like a public service message—and that’s what made it stand out. What pulled viewers into the spot was that you didn’t know what was happening until its surprising ending. Somber background music played over this spot to reinforce the seriousness of the message. The Results The commercial raised awareness considerably and won a number of advertising and medical industry effectiveness awards. The Situation Situation Present Jackson’s trauma center, a generally bloody Present Jackson’s trauma center, a generally bloody and and hectic place, as the finest life-saving facility in the hectic place, as the finest life saving facility in the Southeastern United States. Which it is. Southeastern United States. Which it is. The Results WHERE’D THEY TAKE THE GUY IN THE CAR CRASH ? THE WOMAN IN THE BOATING ACCIDENT? THE KID WHO GOT SHOT? World Class Health Care. Here In South Florida. “Jackson Memorial!” All that’s left is for us to agree. The Situation Continucare Corporation is the largest provider service network serving the Medicare and Medicaid eligible population in Florida, and one of the largest in the United States. Their unique brand model is built on providing quality medical treatment and attentive personal care. Their focus on one-on-one relationships between their staff and patients is what sets them apart from other health care providers. Our job was to begin cultivating these relationships with Florida’s senior population. Our Solution We launched our brand campaign with a direct marketing initiative built around the message that Continucare patients receive not just excellent medical care but exceptional human care from a team of people who truly know them on a first name basis. Our CRM open enrollment campaign began with an initial phone call letting customers know that they will be receiving a post card from Continucare explaining the benefits offered. Once the mailing deployed, customers received a follow-up call to see if they had any questions or concerns. From the welcoming faces who greet and treat them during each visit, to that familiar voice on the phone who calls to check in on how they’re doing, patients found comfort and reassurance that they were part of the Continucare family. Getting to know you on a first-name basis. Nothing is more personal than your health. Yet in today’s busy medical field, many doctors seem to have lost touch with that. And with their patients. As a Continucare patient, you can be assured of receiving excellent medical care and exceptional human care – from a team of people who truly know you on a first-name basis. Our facilities and equipment are state-of-the-art, but when it comes to customer service we’re strictly old fashioned. And our patients wouldn’t have it any other way. From the driver who brings you to your neighborhood center, to the welcoming faces who greet you each time you arrive, to your same doctor who treats you during each visit, to that familiar voice on the phone who always calls to follow up after every appointment just to check in on how you’re doing, we’ll treat you as if you’re part of our family. Because here at Continucare, you are. The Results Thanks to our campaign, Continucare has become a significant player in the delivery of primary care services. Humana, recognizing the value of the brand and potential for future growth, acquired Continucare and its parent company, Metropolitan Health Networks, Inc. in 2012. Call centers report a steady increase in customer inquiries month-to-month over the course of our campaign run. OUR KEIRETSU keiretsu (çłťĺ&#x2C6;&#x2014;, lit. system, series, grouping of enterprises, order of succession) is a set of companies with interlocking business relationships and shareholdings. It is a type of informal business group. PLAYS WELL WITH OTHERS The “Brands” behind TURKEL Brands are a team of carefully-curated, multi-disciplined companies and best-of-breed marketing specialists that can be specifically tailored to meet your needs. Our portfolio of agencies includes some of the most respected communications professionals in the industry, who stand out for their ingenuity, creativity, and proven results. Serving as the lead agency and brand steward, we oversee our clients’ brands from a 360-degree perspective. Based on our clients’ needs, we create a customized team of experts in the disciplines required. We coordinate all marketing initiatives, including advertising, digital, media planning and buying, public relations, etc. to provide integrated seamless solutions. We call this structure the Brand Value Agency Leader model. It is unique in the world of independently-owned agencies, but it comes naturally to us. Our model addresses the expense, inefficiency, and complexity you face when you have to interact with every service provider on their terms and then try to bring them all together. Plus, you’ll have confidence in knowing we’re in charge of ensuring each marketing discipline helps you achieve your ultimate goals. (our international experience) In 1996, TURKEL Brands President Roberto S. Schaps built a 10-office agency network in Latin America to serve the company’s top tier international brands, including HBO, Black & Decker, Discovery Networks, and Sony. Building on our success in the Latin American market, we have grown into a truly global strategic communications network called TURKEL Brands International. TURKEL Brands International’s team of independently-owned agencies operates in 43 countries throughout North, Central & South America, the Caribbean, Europe, Asia and Australia. For more than 30 years, we have been providing a full suite of marketing services, including advertising, public relations, direct marketing, digital and promotions & events. WE ARE ORGANIZED IN A UNIQUE WAY. While TURKEL Brands Internationalâ&#x20AC;&#x2122;s agencies are fully independent, they are also interdependent. Every agency in our network stands shoulder to shoulder, sharing and collaborating to support our clients. This innovative method allows us to become more inspirational in thought, leading to a myriad of shared local and global insights. FINAL WORD ON TURKEL BRANDS. OR THE FINAL SEVENTY-EIGHT WORDS, TO BE PRECISE. you’ve made it this far, you’ve probably figured out we have a different way of doing things. You know what we do, why we do it and who gets it done. What you might not know yet is what our ultimate goal is. It’s simple: We are going to be the best advertising, marketing, branding and public relations agency in the world. We’d like you to help us accomplish that.